Classic rock fans, we’ve got huge news for you!! 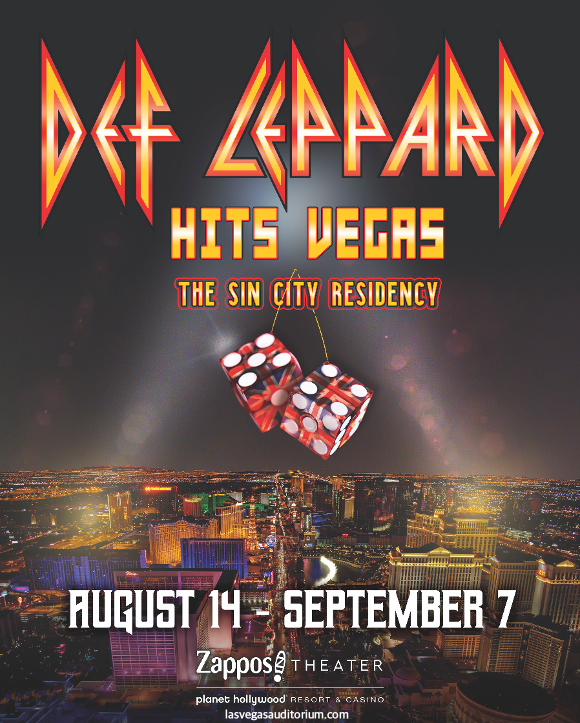 This year, Def Leppard return to Vegas with the Sin City residency show!! For 12 high-octane nights, you’ve got the chance to see one of the biggest rock groups of the 80s! 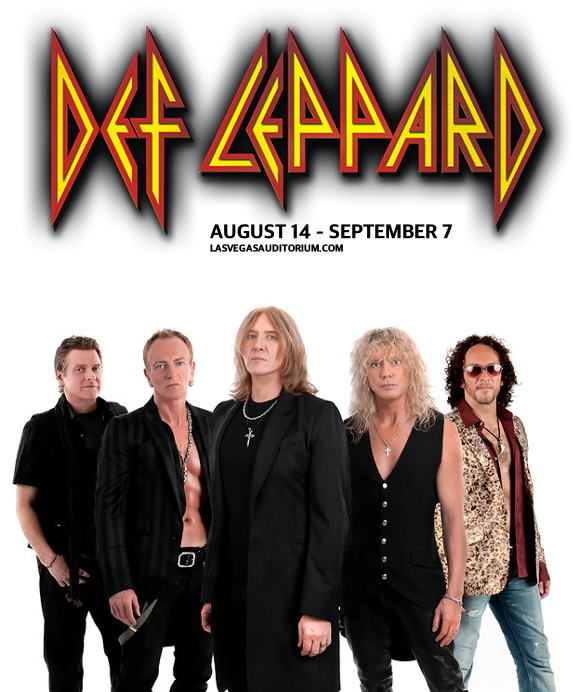 In the wake of their Greatest Hits album, the unstoppable Def Leppard are here to show you that glam metal lives on!! Don’t miss out on your chance to catch what promises to be a truly spectacular show – tickets on sale now!! Choose your show from the list below and get ‘em while they last!! Formed in 1977 in Sheffield, England, as part of the new wave of British Heavy Metal, Def Leppard’s style gradually evolved over time to become the era-defining sound we know today. This evolution, and their increase in popularity, started with their 1981 album “High ‘n’ Dry”, with their video for “Bringin’ On the Heartbreak” going on to become one of the first ever played on MTV in 1982. Their next album “Pyromania”, containing their first hit singles; “Photograph” and “Rock of Ages,” was certified Platinum an astonishing 10 times by the RIAA, marking the group already as one of the most popular of the decade. However the band would go on to even greater heights with their fourth album, “Hysteria,” which contained no less than SEVEN hit singles; “Pour Some Sugar on Me”, “Animal”, “Love Bites”, “Hysteria”, “Armageddon It”, “Rocket”, and “Women”, hit number 1 in both the UK and US and charted in many other countries besides, and has to date surpassed “Pyromania,” in sales, earning Platinum certification over a dozen times and selling over 25 million copies around the world. Today, the band’s discography has resulted in sales of over 100 million records, with both “Pyromania,” and “Hysteria,” certified Diamond by the RIAA – making them one of just five bands to have two original albums accomplish this feat. 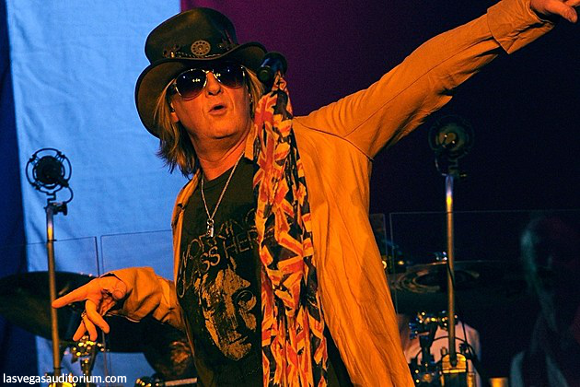 Currently comprised of band members Joe Elliott, Rick Savage, Rick Allen, Phil Collen, and Vivian Campbell, Def Leppard have shown themselves to be one of the greatest enduring live acts of their era, with Collen’s exceptional guitar playing as tight as it ever was, and most amazingly of all, vocalist Joe Elliott’s voice having nothing more than a slight rasp to it to indicate any signs of age. 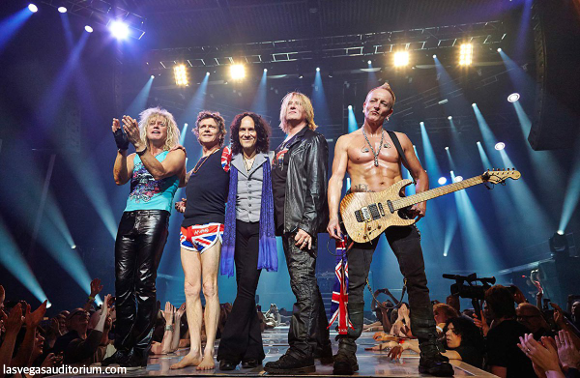 As of today, Def Leppard are one of the world’s best-selling bands ever, and 2019 marks the band’s hard-earned induction into the Hall Of Fame, an event that will surely be part of their live celebrations. This time, the show promises to be even bigger and better than the last. Get ready to celebrate the hit songs of one of the biggest and most influential bands the world has ever seen LIVE – book your tickets to see Def Leppard NOW while they last! !